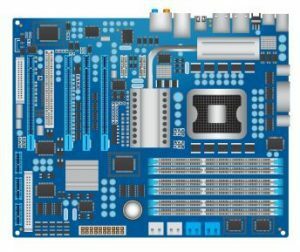 In this tutorial, I’m gonna give instructions about the components of a computer and how to assemble them. I hope that with this guide you’ll know what are the parts of a computer and how to assemble them. I know that there are many things to consider, but with my help, you’ll be one step closer. Your intention – how will you use your PC? What programs do you need? What games do you want to play? The Future – in the future will you want a better graphic? More RAM? How long do I want this configuration to last? The Budget – the great guillotine of plans. 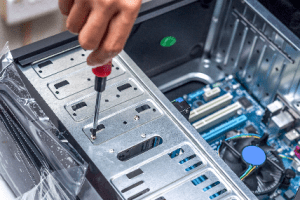 While you do not need to know about all the parts of your computer in detail, when you are trying to build a computer from scratch, having some idea of the function that the major parts perform, will help you when you are trying to fix a problem with the computer or when you are trying to upgrade it. The case is the main big computer box. It will contain different lights and buttons as well as color-coded receptacles into which you can plug in the other parts of your computer system. This box contains all the essential electronic equipment that your computer system needs to function. 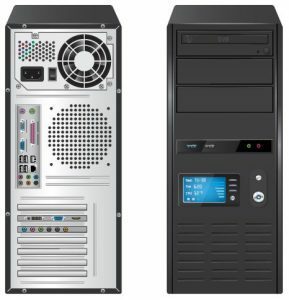 Let’s now take a quick look at some of the major components of a PC tower. As the name indicates, this is the main circuit board. Almost all the important components of the computer get connected to the motherboard. For example, the CPU and main memory are always found on the motherboard. 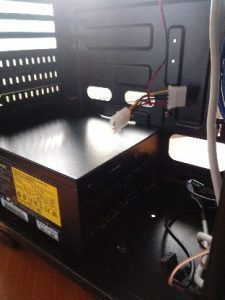 Other components may be connected directly to the motherboard or else, they can be connected to the system through expansion slots. This is also referred to as the ‘brain’ of the computer. It is a microprocessor chip that essentially manages the entire functioning of the computer system. This is a kind of storage device that holds data required for processing. It needs to be very fast and is connected directly to the CPU. Of course, depending on the kind of function they perform, one can find different kinds of memory. 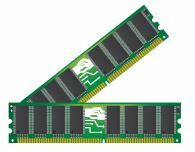 The Random-access memory (RAM) is used to store the temporary data that the computer is currently working with. The more the RAM, the more data the CPU can access – obviously, this means the system works faster. On the other hand, the Read-only memory (ROM) is a type of permanent storage used by the computer to store important data that never changes. You can also find the Basic Input-Output System (BIOS), which is a kind of ROM but used exclusively by the computer to establish communication when the computer gets powered on for the first time. You may also hear terms like virtual memory or cache memory. 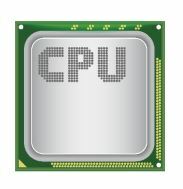 Cache memory is an extremely fast kind of RAM that also connects directly to the CPU and is used to store data that is frequently used. Virtual memory, on the other hand, is just a temporary storage area created on the hard disk to swap data in and out of the RAM to facilitate the working of the system. This is the main permanent storage in the computer system.HDDs are cheaper and typical of fairly large storage capacity; SSDs are smaller, more expensive, but way faster. You can read more here. The graphics card helps the computer convert image data into a format that can be displayed on the monitor. The sound card is what helps the computer to play or record audio files. It converts analog signals into digital data and back. This is an electrical transformer used to regulate the supply of electricity to the system. When a computer system is working, various components have a role to perform and they could generate heat during their functioning. 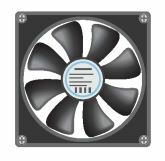 Fans and cooling systems make sure that the computer does not get overheated. Removable storage devices allow you to easily transfer data from the computer to the device and vice versa. Earlier CD-ROMs and DVD-ROMS would be used for this purpose–even now most computers come equipped with CD-ROM or DVD-ROM drives. However, in recent times, USB drives that can be plugged into one of the USB ports have become very popular. Even the smallest of such devices can offer nearly the same storage capacity as DVD-ROMs. The monitor is the screen that looks very much like a TV screen. Your computer system will display all information, including the input and output on the monitor. This is the panel on which you type out the information you want to send to your system. This one of the main ways in which you can feed input to your computer. The computer mouse is a small device that you can use to work with various objects on the screen. Nowadays, computers are complete entertainment systems. You can play music or movies on your computer and hear the sound through speakers. Speakers can either be built into the monitor or the console or you can have a set of external speakers. 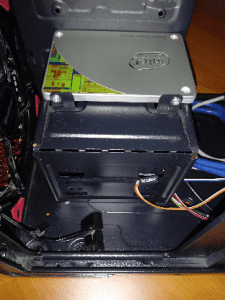 The first thing we do is place the PSU in its slot, and screw it in. Then, we mount all the drives ( SSD, HDD, and DVD-RW ) in their bays. We start with the SSD. Next, we place the CPU in the motherboard socket. Similarly, the RAM sticks also go on the motherboard. 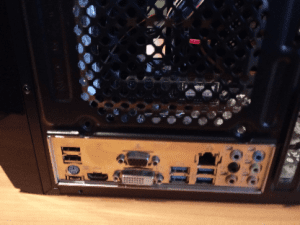 We place the motherboard’s IO shield in the case. 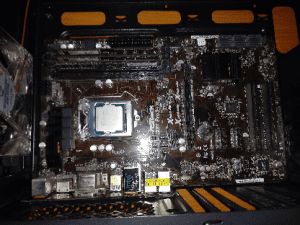 We then put the motherboard itself in the case, and we fix it with screws. other external connectors, like USB or headphone jacks. These must be connected to the motherboard, inside the case. We then mount the CPU cooling solution. 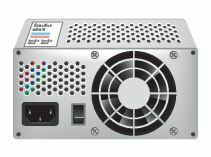 The cooling solution has multiple components. One of them needs to be glued to the back of the motherboard, just under the CPU. Next, we apply thermal paste to the CPU. We press the shiny side of the heat spreader on the CPU, and we fix it in place using screws. Then, we connect the water pump and the fan to the motherboard, for power. 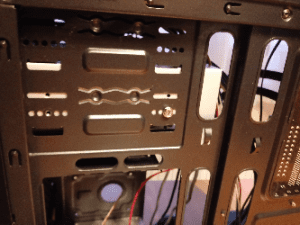 Finally, we place the fan and the radiator on the side of the case, using screws. After the cooler is mounted, we use SATA cables to connect the various drives to the motherboard. Next, we mount the graphics card in the PCIe slot. And lastly, we connect power cables from the PSU. The large, 24-pin connector goes directly on the motherboard. Another 8-pin (in some cases 4-pin) connector also goes on the motherboard, to power the CPU. SATA power cables go to the drives. 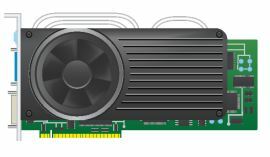 Some graphics cards also require extra power from the PSU, and they use either a 6-pin connector, an 8-pin connector, a 6+6-pin connector, 6+8-pin connector, or even an 8+8-pin connector. Any case fans might also need power from the SU. The only thing left to do is close up the case and test the PC.